I visited 2nd Life Shop in Pori in July 2016. Nice place. 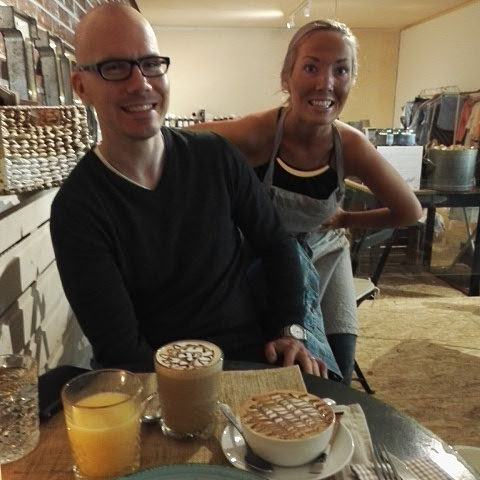 Had a chat and a cappuccino with the owner and their coffee advisor Jani Wahlman. They have a habit of making a nice looking cross-pattern on the coffee using cocoa powder (look at the photo). Honestly, that is something that does not belong in good coffee. After some slight complaining, I posed a challenge to 2nd Life Shop: Reinvent that cocoa powder based pattern on the coffee. You are not allowed to use cocoa powder – you are allowed to create nice patterns and art on coffee, just as long as you don’t mess with the taste. 2nd Life Shop accepted – now waiting for their innovation.